Even though Walt Disney World is a popular wedding and honeymoon destination, the average person may not think of it as romantic. However, it most certainly is! 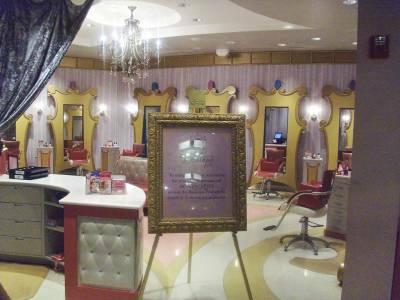 This article explores ways to inject romance into your Walt Disney World vacation -- whether you are there with the kids or on an adults-only trip. While this list is by no means exhaustive, it is a good starting point and a sampling of what is available. Wilderness Lodge: This majestic hotel is located near the Magic Kingdom, yet seems a world away. 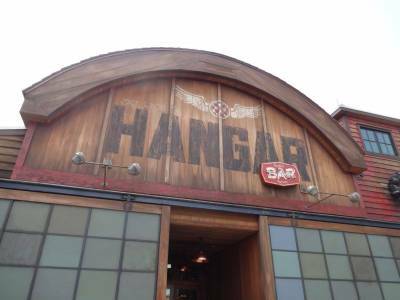 The soaring ceilings and rustic decor give a cozy feel and invite you to stay awhile. My husband and I love to grab a glass of wine or cup of coffee and find a nook where we can settle down and chat. The Wilderness Lodge has several out-of-the-way areas to do just that; some even have fireplaces (check out the third floor). Another romantic thing to do here is tto ake a stroll along the wooded path to Ft. Wilderness Campground; often you won’t encounter another soul. 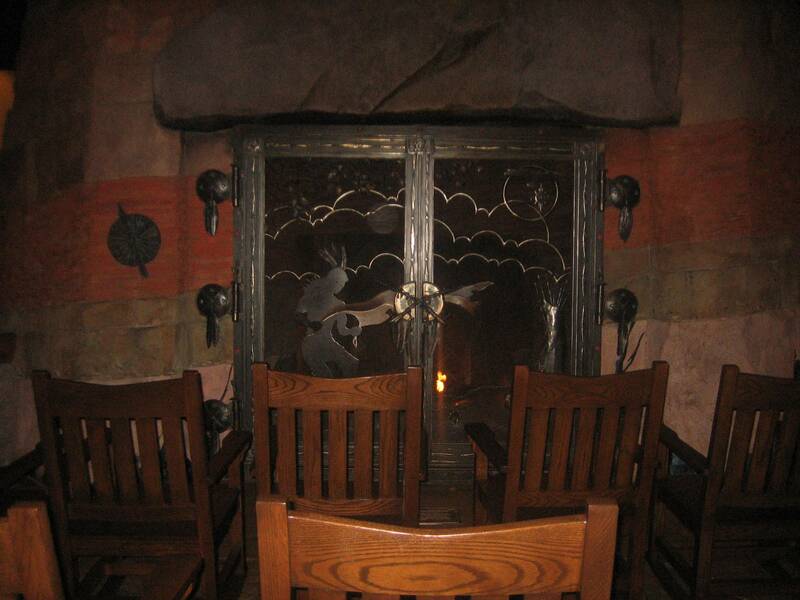 Animal Kingdom Lodge: The exotic theme alone makes this resort romantic. The African decor and music, plus the gorgeous lobby, make you forget you are in central Florida or anywhere near a theme park. The wonderful Victoria Falls Lounge in Jambo House carries out the theme, and is a great spot to relax after a day in the parks. After spending some time there, be sure to check out the animals on the savanna; you can ask for night vision goggles (though availability may be limited) if it's after dark. You can up the romance by snuggling near one of the fire pits, either inside or outside. 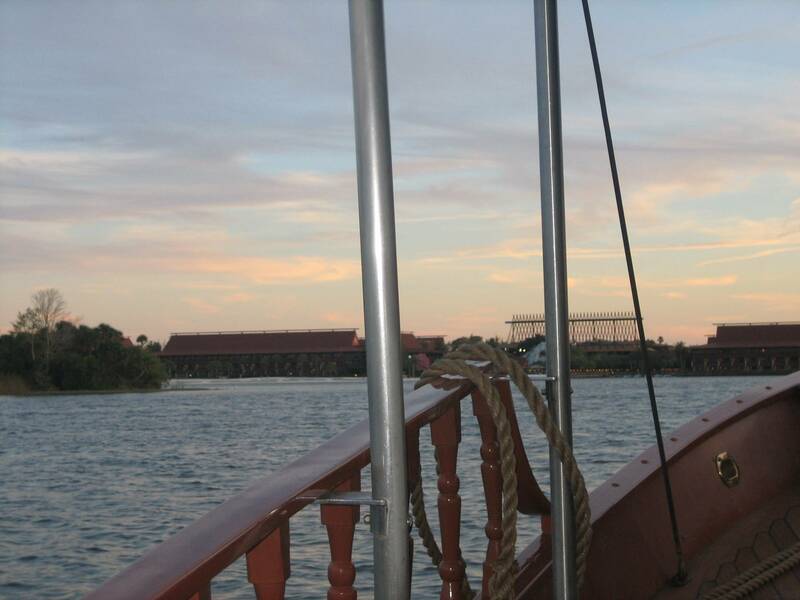 Polynesian: The South Seas theme whisks you away and is immediately relaxing. Explore the lush vegetation in the Great Ceremonial House then head outside to the beach. Here you can swing in a hammock or stroll along the sand. After dark, the Polynesian is truly magical, with its torch-lit walkways and view of the Electrical Water Pageant and Magic Kingdom fireworks from the beach. Port Orleans French Quarter: This resort is small compared to others on Disney property, which gives it a certain charm. Add the New Orleans theme and meandering carriage paths and you have a pretty romantic place. Just strolling around the resort is nice, plus you can walk the path to Port Orleans Riverside or take a boat to Downtown Disney. There is perhaps nothing more romantic than a Disney boat ride at dusk. 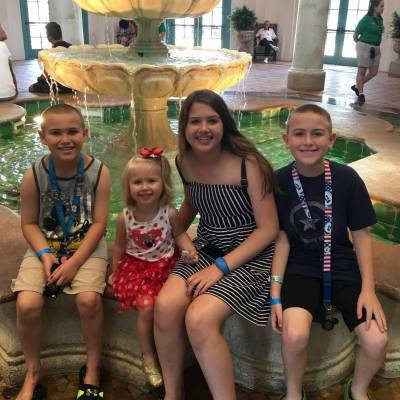 My favorites are the ride between the Magic Kingdom and Wilderness Lodge, the tranquil float from Downtown Disney to Port Orleans, and the boats serving EPCOT, Disney’s Hollywood Studios, and the Boardwalk resorts. Time your journey from Wilderness Lodge to the Magic Kingdom so you can watch the fireworks; absolutely magical! 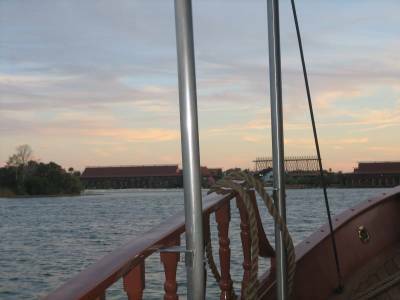 Another option is to rent a pontoon boat or other water craft and explore the Disney waterways on your own. This can be done at Beach Club, Caribbean Beach, Contemporary, Port Orleans, Grand Floridian, Polynesian, Wilderness Lodge, Yacht Club, Ft. Wilderness, Old Key West, Coronado Springs, and Downtown Disney. 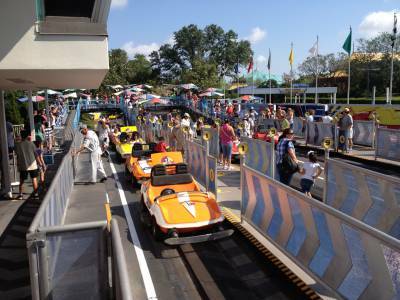 Ride your favorite rides, giggle, and let the joy of Walt Disney World wash over you. We recently rode Dumbo (which neither of us had been on since we were very small children) and it was magical, especially after dark. Riding a thrill ride, such as Tower of Terror at Disney's Hollywood Studios, can also be romantic. Grab each other on the drops, and scream if you feel like it! Epcot's World Showcase is a great place to find romance. Just strolling through the countries hand in hand will do the trick. A nice option for a meal or snack is Tutto Gusto, the recently-opened wine-plus bar in the Italy pavilion. This location has delicious food, a great wine selection, and a couple of little nooks that offer privacy. You might also enjoy picking a theme and carrying it through each country; take a photo together in an iconic spot, enjoy a snack or drink, or pick up a small souvenir at each stop. This Signature eatery is in a prime location for nighttime romance – and the food is quite good. If you time it right, you’ll be able to see both the Electrical Water Pageant and the Magic Kingdom fireworks. Typically, the Electrical Water Pageant will arrive first (just ask at the front desk for times); you can head out to the deck to watch this charming display. When the fireworks start, you’ll hopefully be sitting at a table with a view of the Magic Kingdom. The lights will dim, the fireworks soundtrack will be piped in, and you’ll be treated to a great show. If your table isn’t great for fireworks viewing, just step out onto the deck to share a very romantic moment. 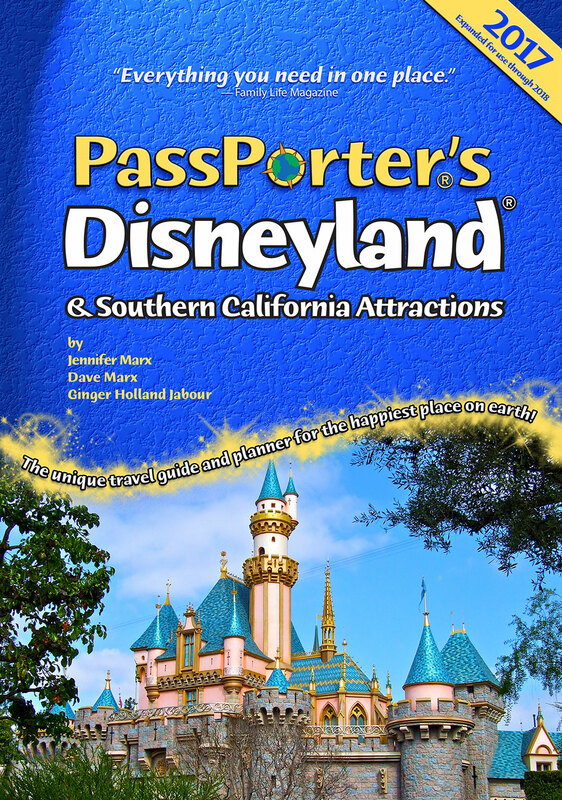 About the Author: Hilary Sommer is a Walt Disney World fanatic who has logged over 30 trips to the World, along with a few to Disneyland. She and her husband, Lyndon, love to travel and created the blog www.twoonholiday.com to log their experiences. Hilary is working on becoming a travel planner but maintains her day job as an attorney, in order to feed her travel and Walt Disney World addictions.